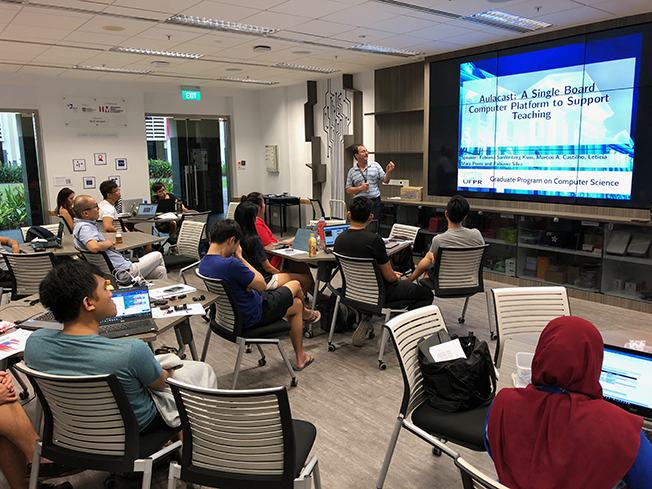 i am very grateful that my team's General Elective AGE08D - Designing learning environments with a focus on the Internet of Things - has been able to benefit from the exchange of perspectives from overseas visitors. last week, we were joined during our field investigations by Professor Michael Schratz, of the University of Innsbruck. 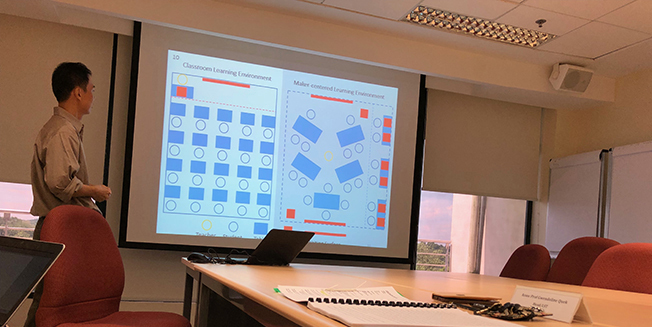 today, doctoral candidate Fabiano Kuss - from the Federal University of Parana - very generously took time to share his work on a learning platform specifically for use in resource- and infrastructure-poor learning environments. today was a very happy day for me. i would like to thank the committee chair, the two reviewers, and my fellow supervisor for their support.